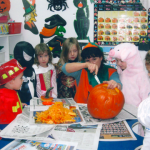 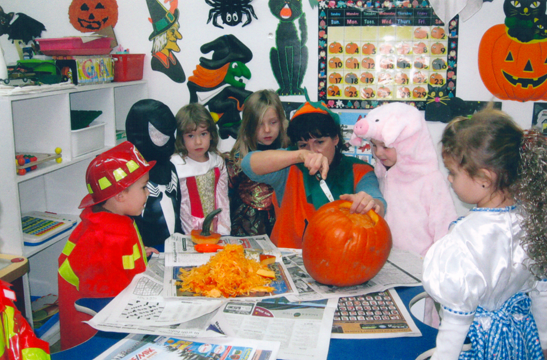 Pumpkins and Halloween themed crafts are the joy and excitement when halloween time comes around. 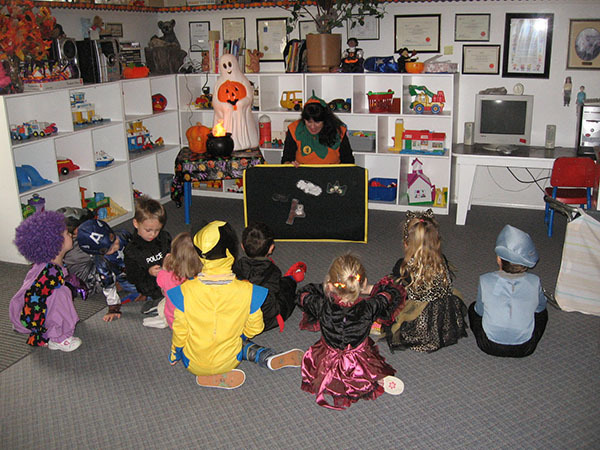 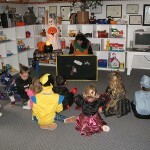 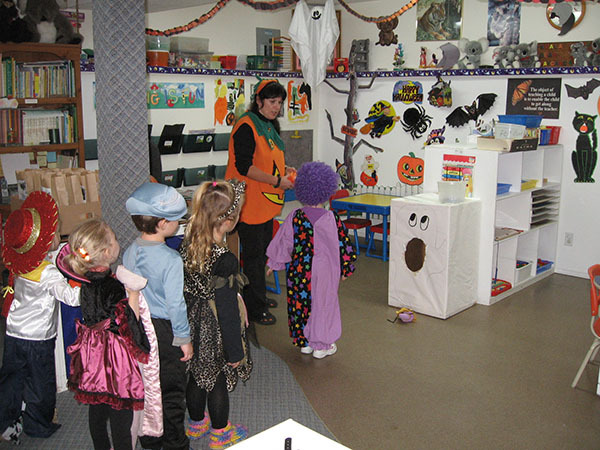 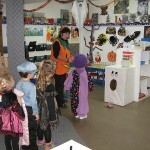 We celebrate by wearing our costumes and playing a variety of games, singing songs and reading stories. 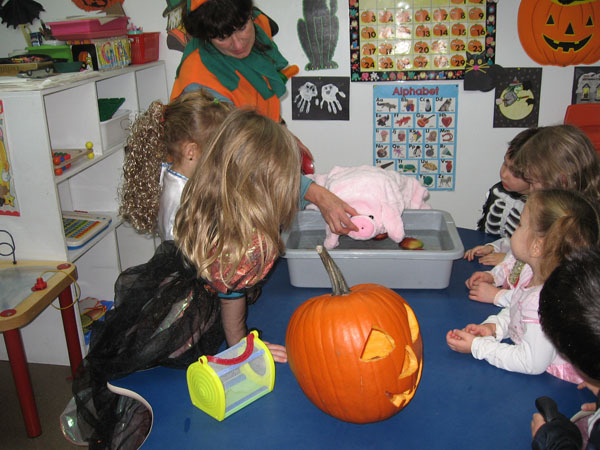 We also have a special lunch for the children.